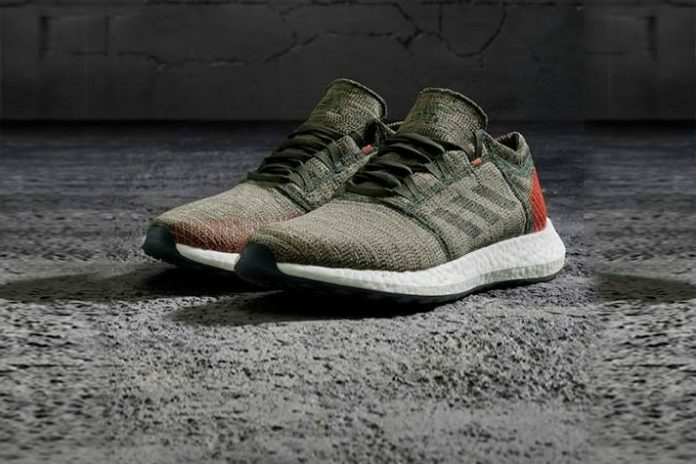 After introducing a limited Black & Grey and White & Light Grey colorway in early August last year, adidas Running now presents two new colorways for PureBOOST GO- a silhouette created especially for the street runner. Designed for changing directions, the highly adaptive shoe offers a running experience that’s both thrilling and accessible for all. The PureBOOST GO features a brand-new Expanded Landing Zone – a wider forefoot platform for increased forefoot stability during multi-directional movements. A deconstructed circular knit upper, crafted from a breathable fabric, improves flexibility and freedom of movement with each step. The full-length BOOST midsole, adidas’ industry-defining technology offers runners endless energy return. PUREBOOST GO is now available in Raw Khaki & Black for men and Clear Mint & White for women colorways priced at 11,999 & 10,999 respectively in India on adidas.co.in & at select adidas stores from March 21st.